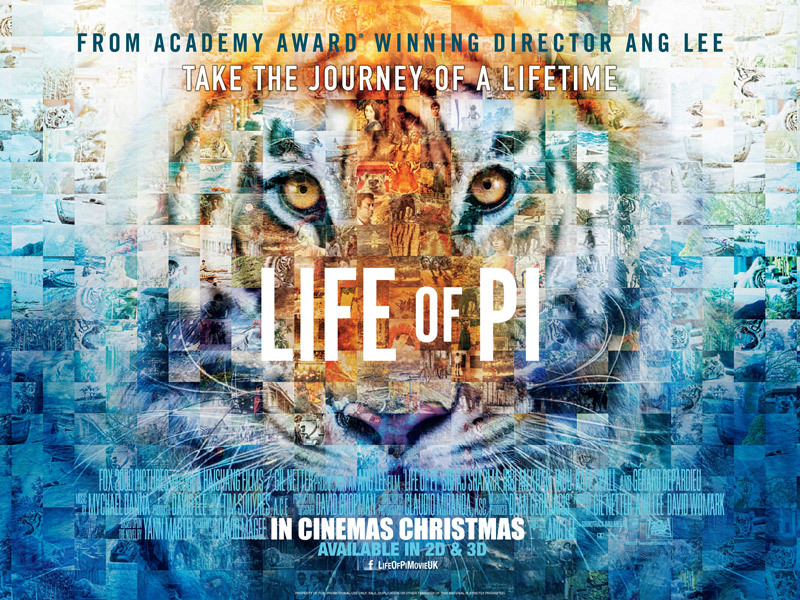 In this section you will begin to reflect on how the novel and the film Life of Pi are constructed. Both texts communicate essentially the same story but the medium through which they are told is very different. From the quote above by Yann Martel, what do you think he means by the ‘enormous technical challenges’? Watch this featurette for some insight into how certain aspects of this transformation were achieved. Now look at this film poster and discuss as a class what you think it suggests about Ang Lee’s adaptation of the novel? MARTEL: As I was writing the book, cinematic as it was in my mind, I thought this is a completely un-filmable story. You have to take those little symbols on the page and turn them into a visual reality. Other directors looked at the projects, sniffed around and expressed interest, but it didn't come together. We needed a director who could both understand the story, feel for it but also be able to overcome the enormous technical challenges. 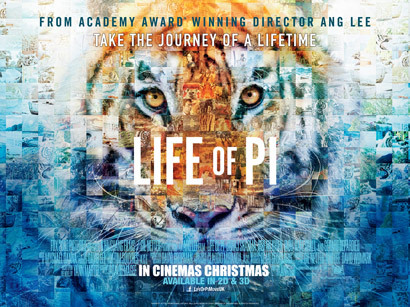 MARTEL: The challenge with Life of Pi is that it's a movie that features a tiger. They have to use a CGI tiger, because there are some parts of the story that would be un-filmable. WESTERNHOFFER: Life of Pi is definitely one of the most challenging projects I’ve ever worked on. The bar that we set for ourselves is something that hasn’t been done in the past. We had over 15 artists just working on the fur. Someone has to comb and place all the 10 million hairs that are on his body. We had people in Los Angeles, people in India, some other artists in Vancouver and Kuala Lumpur all working on Richard Parker. LEE: How do you make that into a movie? Sometimes it feels like encourage, sometimes you just despair. MARTEL: Ang Lee has the know how, the determination to pull that off so he’s the perfect director. It’s a match made in heaven. PI: [screams] What more do you want?! ?